Inconel 718 might be calculated with this graphic. için, Larson Miller grafiği çizilmiştir. Bu grafikle, Inconel 718’in yüksek sıcaklık sürünme ömürleri hesaplanabilir. A. Thomas, M. El-Wahabi and J.M. Cabrera, J.M. for the master degree,China, 2009. Neto, A.A. Couto, F. Piorino Neto, M.J.R. Superalloy”, Defect and Diffusion Forum Vols. Turbine Blades”, Materials Science, Vol. 42, No. Testing: Vol. 54, No. 1, İ.T.Ü, 2012, pp. 49-52. ISNAD Subaşı, Ergün , Kayalı, Eyüp , Baydoğan, Murat . "Investigation of the high temperature creep behaviour of inconel 718 superalloy at different temperatures and stresses". 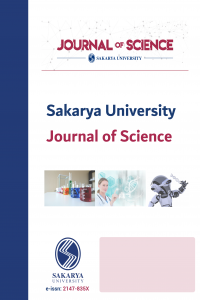 Sakarya University Journal of Science 20 / 1 (April 2016): 47-54.